[toc]One of the skin problems that can affect a person is that of boils. Though it is not a serious health issues, it is definitely something that can bother you. They are completely harmless and this gives you a great assurance. However, since it is affecting the skin, it is important to know how to get freedom from them since they are highly visible in most of the cases. In simple terms, if we try to define the issue of boils, it is like a blister or a bump on the skin that is usually filled with water or mucus. Once the boil opens up, a good treatment procedure that can be easily adhered to is that of using saline solution over it. it is not only a 100 percent safe method but also one that is highly effective and quite reasonable on the pocket. Using the saline solution will not only reduce the size of the boil but gradually clear it from the skin. 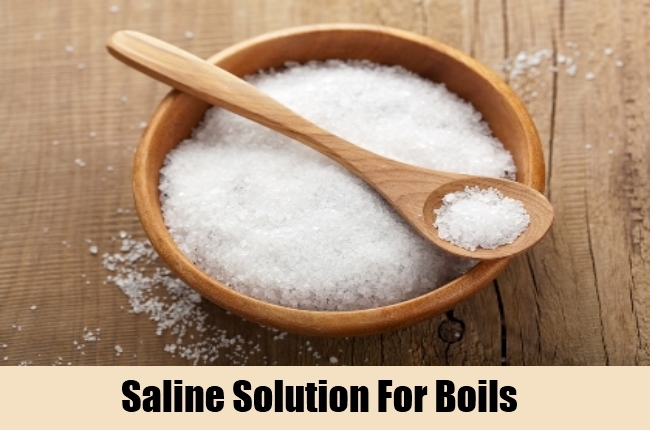 Saline solutions are easily available in the market and can also be prepared at home. However, use it daily to find visible outcomes for the boils. 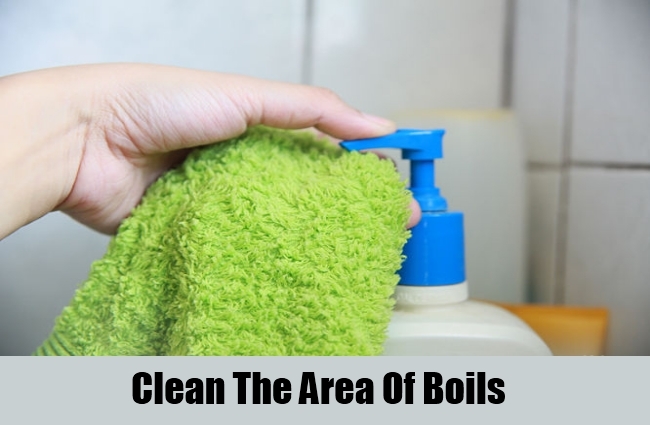 Once the boil starts to drain out the accumulated liquid in it, it becomes very significant for you to keep the area as much cleanly as possible. This should be done at least twice a day for which either a damp washcloth can be used or else some warm water. Also, before using your hands for cleanliness, make sure that the hands are bacteria free as well. This is going to give you a good start to the treatment process of the boil. 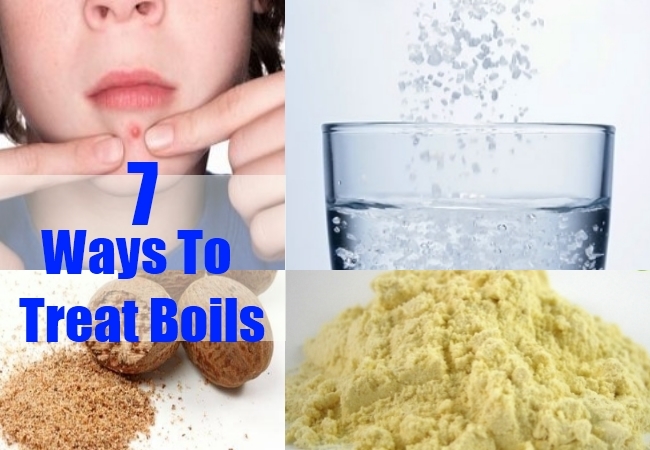 Avoiding this situation will only worsen the condition of the boils and it might also spread to other areas that come in contact with the liquid from the boil. This is one of the old recipes that are bound to give excellent results for the treatment of boils. 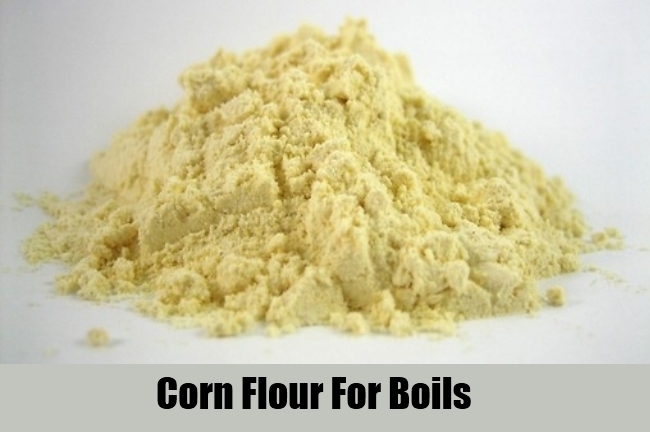 The absorption qualities in corn flour are what help in achieving the goals perfectly. About ½ a cup of water should be boiled and then cornmeal should be added to it in a way that a thick paste is formed. This paste should be cooled down and then applied on the boils and covered. The method should be repeated every 2-3 hours which will help in draining out of the boil and further proper treatment to help you get rid of the issue as fast as possible. 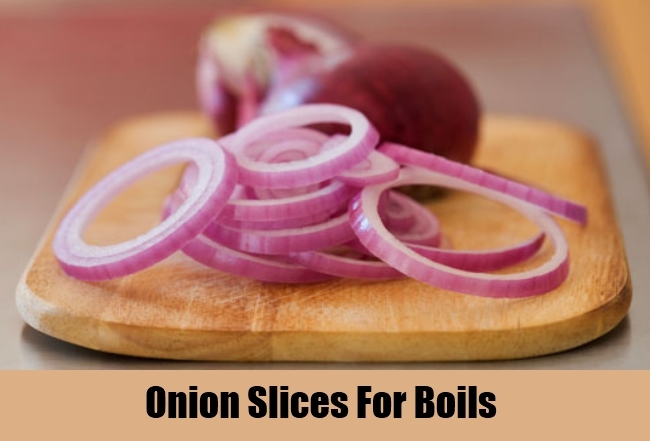 The antiseptic and antimicrobial properties of onion are something that helps in treating boils on the skin. It draws all the heat and the blood from the boil to ensure that the cure starts instantly. A thick slice on freshly cut onion is all you need each day to place it over the boil. This should be then wrapped with a clean cloth to keep the slice in place and let it work its wonders on the boil. Continue this for about a week and see how well it gives you outcomes on the skin problem. The onion slice is recommended to be changed every 2-3 hours of time. Looking for an internal treatment of boils? 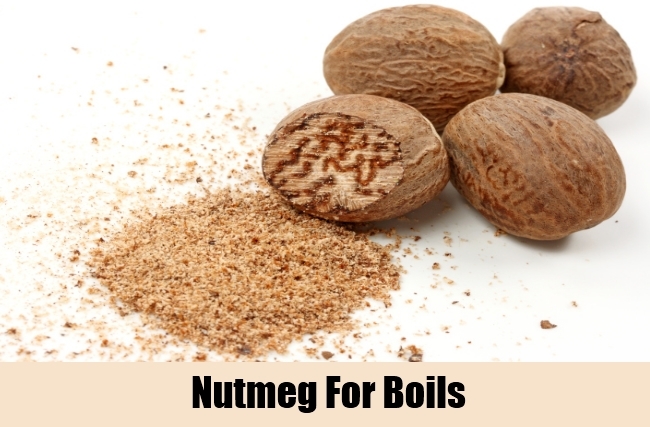 Have nutmeg in the diet to ensure that the body improves the blood circulation which will in turn be really helpful in fighting the boil and any bacterial infection associated with it. A cup of hot water mixed with about ½ a teaspoon of nutmeg is all you need to drink each day for the right direction of treatment for boils. There are loads of benefits in tea tree oil for the skin which also includes in antifungal, antibacterial and antiseptic properties. 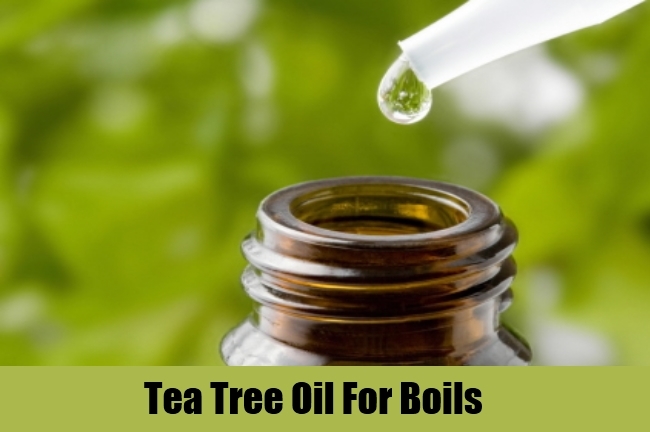 According to researchers, using tea tree oil regularly on the boils can give you great results and exactly that you desire. A clean cotton ball can be dipped in some of this liquid and then applied on the boil gently. This is not something that can be consumed. To get maximum benefits from the oil, use it 5-6 times in a day on the boil each day until the problem subsides completely. 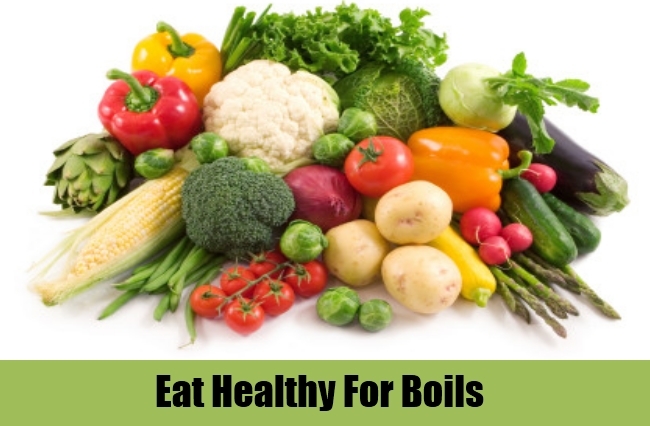 Boils can be a major result of unhealthy lifestyles that tampers with the body functions. In such a situation, there is nothing better than eating healthy and maintaining the body’s immunity to combat all kinds of diseases and infections including that of the skin. This is one way in which you can treat the boils internally. It will also help you are a preventive measure for many problems and avoid the reoccurrence of boils on the skin. Eat loads of fruits and vegetables as well as all fulfill your entire nutrient requirement each day with recommended foods. This will fight off the boil causing bacteria in not more than a couple of weeks and give you good outcomes. Having water is another way in which you can flush out the bacteria from the skin and the body that is the cause for boils. It hydrates the skin and treats all the problems associated with it. It is also a simple thing to do that guarantees excellent results. About 8-10 glasses of water are highly recommended each day. Apart from this you can also try some other healthy liquids.